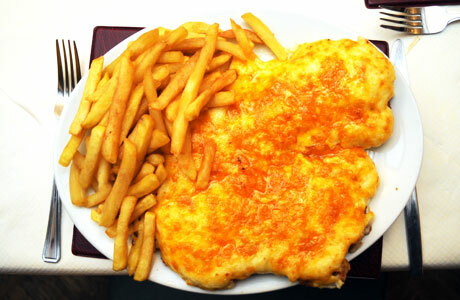 Welcome to Parmo Heaven, dedicated to Middlesbrough and the Teesside delicacy known as the Parmo. We have parmo recipes, information and videos celebrating the finest take-away dish in the land. A Parmo is typically deep fried chicken, coated in breadcrumbs, covered in a layer of Bechamel sauce, then topped with cheese before being grilled. Pork can be used instead of chicken and although Parmos generally come without toppings, they can come topped with different meats, cheeses etc, just like pizzas.